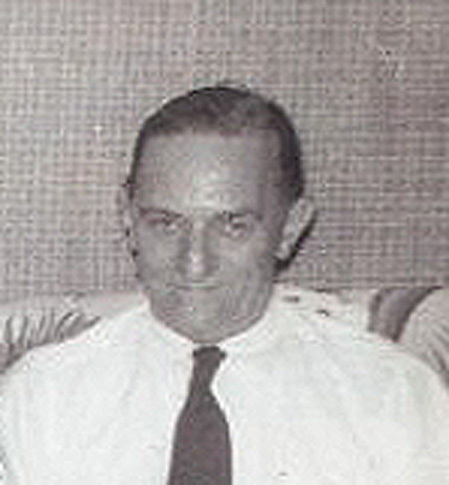 This is the only picture of Joe Kincel that I have been able to find. 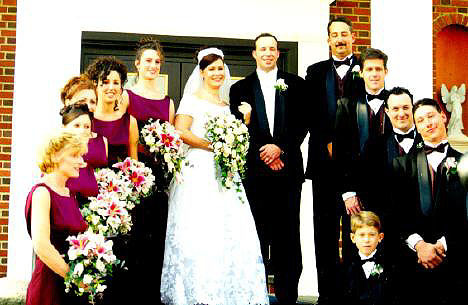 Here's a picture of Margaret Mary Kincel Santostefano's granddaughter (hereafter referred to as "Peg") Dawn at her wedding to Doug Vornlocker on October 30, 1999. Clockwise starting at 7:00: Alice (friend), Shannon (another granddaughter of Peg's), Jan (friend), Dana (friend), Jenny (sister to Dawn), Dawn and Doug, Bob Vornlocker (Doug's brother), Bill Winter, John (Peg's son), Jenny's boyfriend David, and Bobby (Doug's nephew). 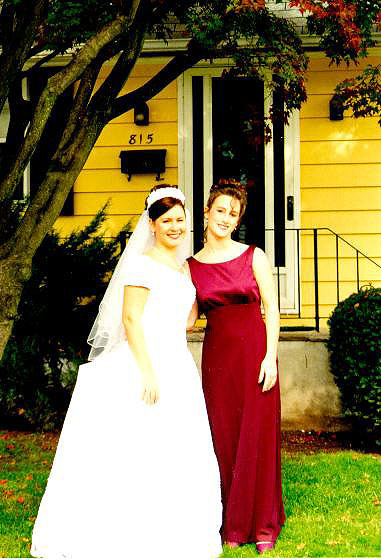 Dawn and her sister, Jenny who was Dawn's Maid-of-Honor. This was taken in Peg's (their grandmother) "front yard under a tree they were climbing just a few short years ago."